Virgil Fassio, a lifelong newspaper man and civic leader, spent 15 years as publisher of the Seattle Post-Intelligencer. Virgil Fassio, the former publisher of the Seattle Post-Intelligencer newspaper whose decades of civic involvement spanned interests from international relations to baseball, died earlier this month. He was 91. Mr. Fassio’s career in newspapers began with a paper route as a boy and publication of a school newspaper while growing up. He co-founded a biweekly publication in his hometown of Pittsburgh and eventually, in 1976, came to the Post-Intelligencer, where he spent two years as general manager and 15 years as publisher. His wife of 46 years, Sunni Fassio, said Mr. Fassio died Sept. 5 of congestive heart failure. He was surrounded by his family at a Kirkland care facility, his son Richard Fassio said. In a memoir published in 2017, “Steel City to Emerald City,” Mr. Fassio recalled that when he was brought on as the P-I’s general manager, the paper had experienced eight consecutive years of financial losses. Mr. Fassio said he wasn’t deterred. “I was optimistic and believed a turnaround was possible,” he wrote. It was an attitude he carried into decades of civic involvement, recalled his wife and their three adult sons. “He had a kind of damn-the-torpedo-full-speed-ahead mentally,” Rich Fassio said. At 17, Virgil Fassio joined the Navy shortly before the end of World War II. At 20, he co-founded a neighborhood biweekly in Pittsburgh before taking a reporting job for a small-town Pennsylvania newspaper. He built his expertise in circulation, working at the Detroit Free Press and Chicago Tribune before moving to Seattle. “He was definitely a newspaper man,” said his wife, a Detroit native and neighbor whom Mr. Fassio met while working at the Detroit Free Press. They married the following year, according to his biography on Historylink.org. “He never would be without a newspaper wherever he was,” she said. After two years as the P-I’s general manager, Mr. Fassio spent 15 years as publisher, overseeing a tumultuous period that included the newspaper’s decision to enter a controversial Joint Operating Agreement with The Seattle Times. “He did it with courage and grace,” said Roger Oglesby, publisher of the P-I from 2000 to 2009. As P-I reporters aggressively covered nuclear-energy projects and then-governor Dixy Lee Ray, Mr. Fassio stayed largely hands-off, recalled Joel Connelly, a longtime reporter and columnist at the newspaper. In his book, Mr. Fassio described himself as “a middle-of-the-road independent” who had a say in the paper’s endorsements but no interest in becoming an editor. “Being editor would have restricted my ability to work with business and political leaders,” he wrote. While publisher, Mr. Fassio also held leadership roles at the Downtown Seattle Association and Seattle/King County Convention and Visitors Bureau. 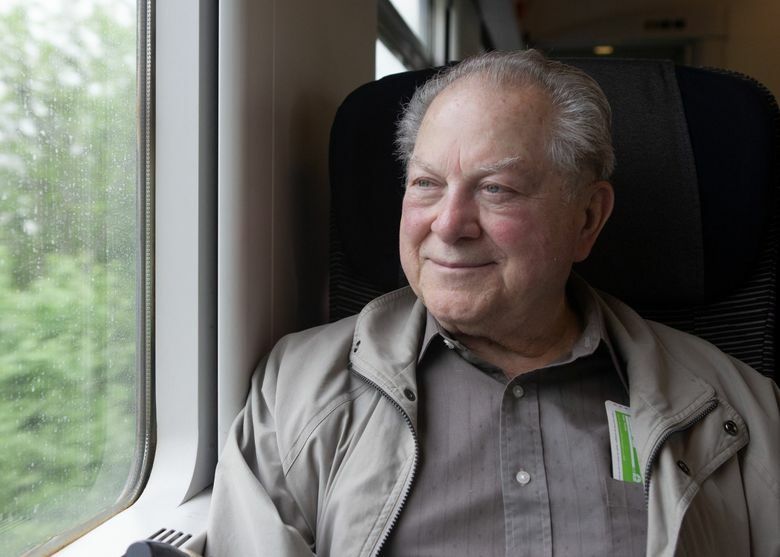 He traveled internationally to promote the Pacific Northwest as a tourist destination and frequently met local and visiting politicians, according to his book. Mr. Fassio used his prominent public position to raise money to transport fossil dinosaur skeletons from China to Seattle for an exhibit at the Burke Museum and to build a new elephant habitat at the Woodland Park Zoo, he wrote. “The whole civic sense — he was definitely trying to impart that on us,” said son David Fassio. An enthusiastic baseball fan, Mr. Fassio co-founded the Mariners RBI Club. In a statement posted on the RBI Club’s Facebook, the team said Mr. Fassio was “instrumental” in the search for local owners for the team in the 1990s. The team held a moment of silence in his honor Friday. Mr. Fassio is survived by his wife, Sunni, sons Mike, Rich and David, and five grandchildren. His family is planning a private memorial service.